Good Eats at the Preston Trail Farms Cafe’! 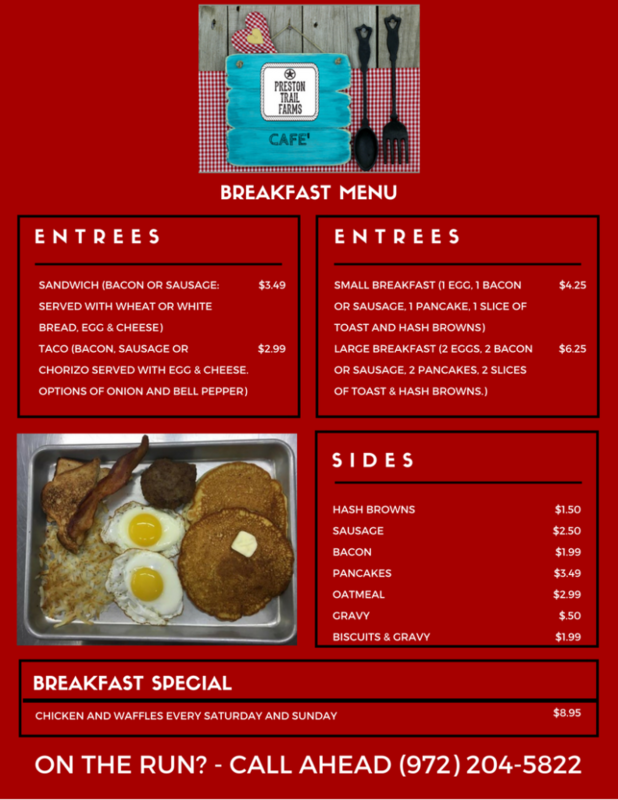 The Preston Trail Farms Cafe’ has launched our new menu for breakfast and lunch, and we are open for dinner on Friday and Saturday! 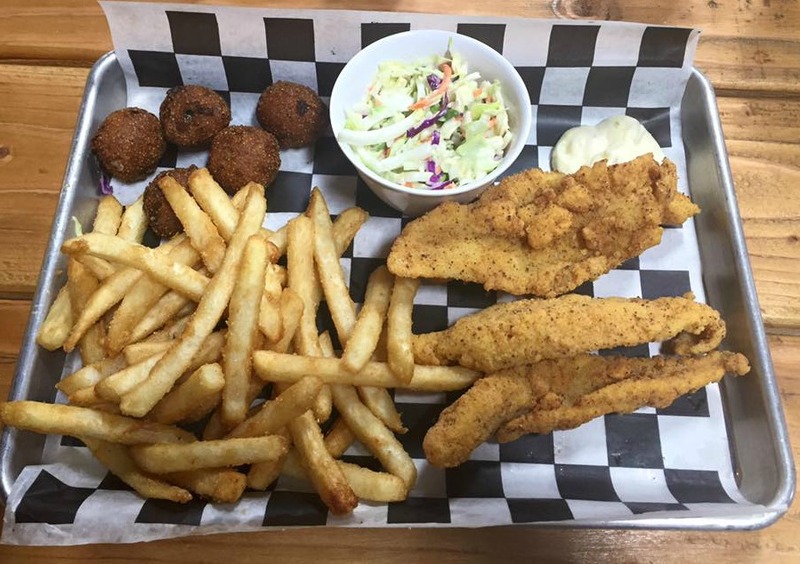 Whether you are dropping by the Farm for a cup of coffee with a friend, shopping for hardware or feed, or picking up a gift for a loved one, you owe it to yourself to stay for a meal in the Preston Trail Farms Cafe’! 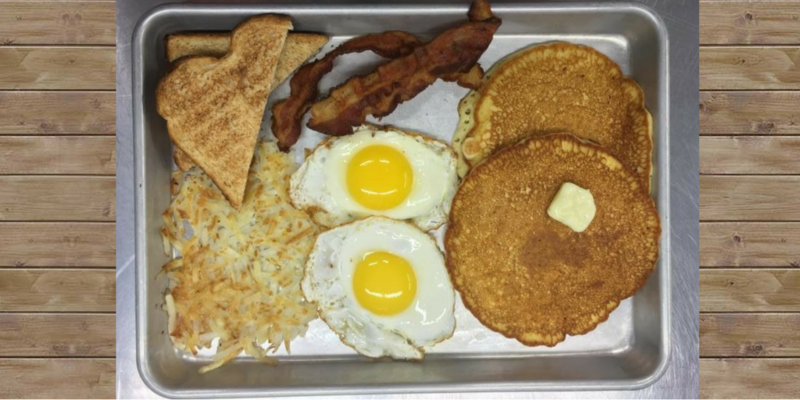 Hungry for a homestyle breakfast? On the run at lunch time? 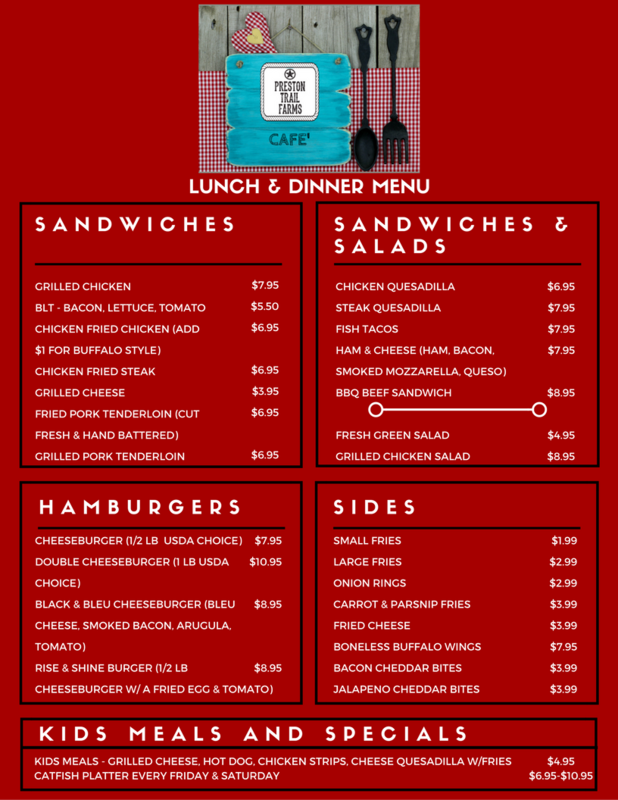 You can order ahead (972-204-5822) and pick up your food to go! Our new cafe hours are: 6am-2pm Monday-Wednesday, 6am-8pm Thursday-Sunday. We look forward to seeing you at the Preston Trail Farms Cafe’!